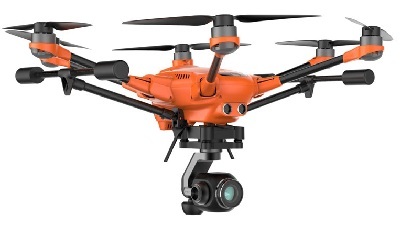 We provide aerial photo and video services with drones in various domains, like inspection, event, photogrammetry, real estate and agriculture. Our approach is based on result quality and customization. There is no unique solution, and understanding your needs is our main priority to provide you the most appropriate service. Our expertise is based on a deep technical understanding, supported by the will to bring a modern touch to our solutions. We also make a point to provide a serious and professional service. This is why drone piloting is done under the guise of and an industry-recognized class-1 pilot licence. Are you an insurance expert or real estate professional and you need to inspect a place that is difficult to access? Do you need to check the damage to the roof of a building? Is assessing the current state of a site and its equipment a complex task? In general, we can perform the inspection process of a hazardous area with much less risk. We can also produce geometrically corrected 2D maps (orthophotography) and 3D models of your sites and buildings, in order to be able to perform in-depth analyzes, as well as very precise measurements of length, surfaces, angles and volumes. We are also able to provide infra-red imaging to check solar panels and building insulation, detect pipeline leaks, etc. Are you a wedding and event photographer and do your customers want to add a special touch to the photo or video report of their wedding? Are you organizing a family event or other party and would you like to keep a special memory? We are here to provide you with unforgettable and high quality aerial images and videos. It is also possible to act as a second photographer for aerial or conventional “terrestrial” images, and to vary and combine points of view. Are you a real estate agent and you want to increase the sales value and better target the clientele of your property? In general, do you want to show a more attractive point of view of houses for sale or rent? We put real estate property forward with attractive photos and aerial videos. By taking a different point of view, both technically and through the photographer’s eye, you will be surprised at the impact on your customers. We also produce a “traditional” ground photo report to produce a complete, high quality solution. On demand, we can also produce 3D models of buildings, in order to precisely measure distances, surfaces, and volumes in preparation of any work or property extensions. You are a farmer and want to increase your farm yield? Knowing the health of your plants is an important factor? Do you want to reduce the amount of fertilizer to its optimum level? Precise measurements of the area of ​​your plots would help your performance calculations? Using modern techniques, we provide accurate vegetation health images that can be directly incorporated into your fertilizer spraying equipment. The gain is multiple: less fertilizer, so less money spent; less time spent in manual analyzes; more yield, etc. We provide 2D RGB and NDVI maps that are more accurate than satellite imagery.